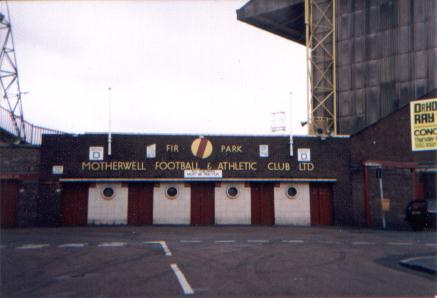 Fir Park had taken its name from the plantation in which it was located and part of which had been leased to the club in 1895 by landowner Lord Hamilton of Dalzell. On the west side of the ground, a small wooden grandstand, which was enlarged in 1921 and capable of holding around 1,000. This offered the only cover in the ground. Behind the eastern side adjacent to the school and the northern end of the ground previously known as the town toll street, Taggarts or Knowtop goal, the spectators would stand in the terracing which was built up from numerous cartloads of earth and ashes which were built over the years. The banking had been terraced by cutting in steps which were then faced with strips of wood. 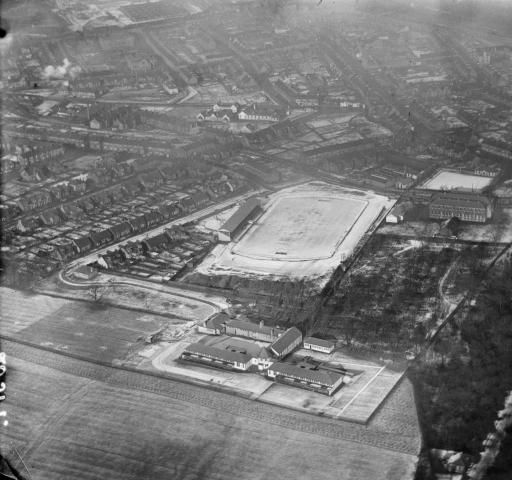 The southern end of the ground, known as the estate goal, had been a curling pond that had prevented further development there for many years. Once that had been acquired, that too would be dumped with earth and ashes to form a high banking that only would be fully terraced in February 1932. With Ian St John’s departure to Liverpool the money received from the transfer was used for the new Main Stand. 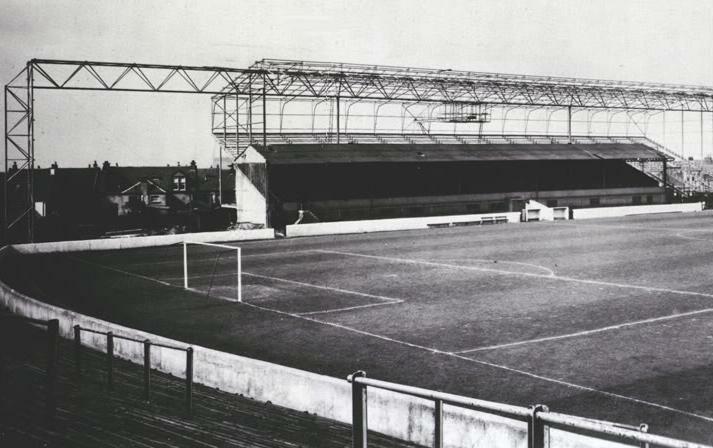 The old wooden grandstand which was there previously was not demolished, the new stand arose from the old one. Instead of running the full length of the pitch, it only reached three quarters of the way. This was because of the residents said it would overshadow the garden behind it and the occupants of the house and the directors of Motherwell could not come to terms regarding compensation. Rather than be held to ransom, the directors decided upon a shorter version which still stands today. In 2008 the club renamed the Main Stand to the Phil O’Donnell Stand in honour of the popular captain who had sadly collapsed and died during a match in December 2007. 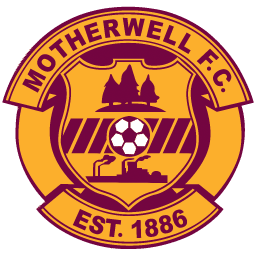 Not long after Motherwell had famously beaten Rangers 3-0 on the 4th May 1991, construction work quickly began at Fir Park, redevelopment plans had been at the forefront of the clubs plans so that Motherwell could comply with the new Taylor Report ruling. Seating being added to East Stand. 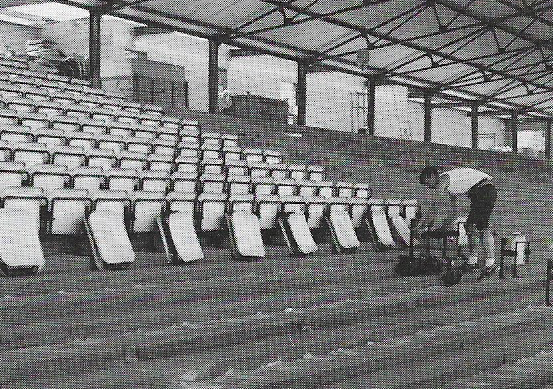 Phase One of the renovations saw the segregation barrier being removed, while 17 rows of seats were added and split into 7 banks with the seating total for the stand being 3128. 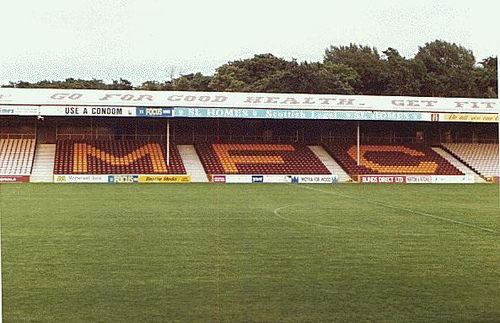 The three central banks of seats were emblazoned with the initials ‘MFC’ in traditional Motherwell colours while the two banks at either end of the ground would be a beige colour. A few headaches would arise as not only did the club have to comply with the Taylor Report but had to conform with Strathclyde Region’s ground requirements which meant additional safety gates had to be added which meant a complete redesign of the boundary walls were required. The final touches of the stand saw the rear boundary wall behind the stand being completely demolished and rebuilt on the perimeter of the Knowetop School playground. With additional space now available new catering and toilet facilities were added. New seating added to East Stand. In late 2016 the club renamed the East Stand the John ‘Sailor’ Hunter stand after the clubs first ever manager, the man who was responsible for leading the side to a famous title win in the 1931/32 season breaking the Old Firm’s monopoly. Original plans for both the North and South Stands. Former chairman Bill Dickie designed the stand and based it on Ibrox Copland Road Stand. 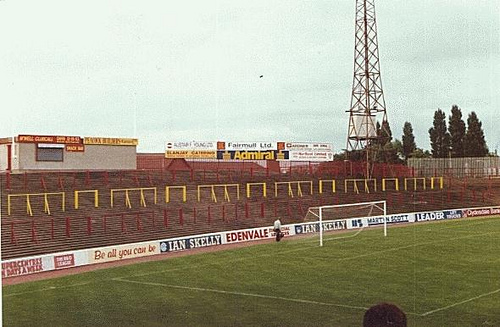 In 1992 work started on the South terracing, the stand was completed in January 1993, it was opened in a game against Rangers and was filled to capacity. Newly completed South Stand in 1993. Old Art Deco style turnstyles which gave fans access to the old Knowetop End. The Chapman building now stands in the exact spot. 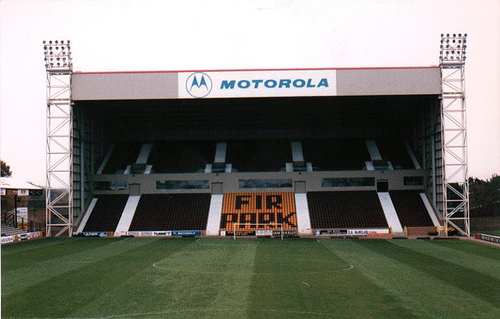 The old North terracing began to take shape in late 1994 and upon the tragic death of former ‘Well hero Davie Cooper the stand was named ‘The Davie Cooper Stand’. A fitting tribute to this outstanding Clydebank, Rangers, Motherwell and Scotland legend. After the completion of the Davie Cooper Stand and the South Stand, the East Stand and the Main Stand were given a makeover. They were given matching cladding to give the stadium a modernised look. Panoramic shot of how Fir Park looks today.